She may be an aging widow, but Supreme Court Justice Ruth Bader Ginsburg proves she's still got it going on in the style department. 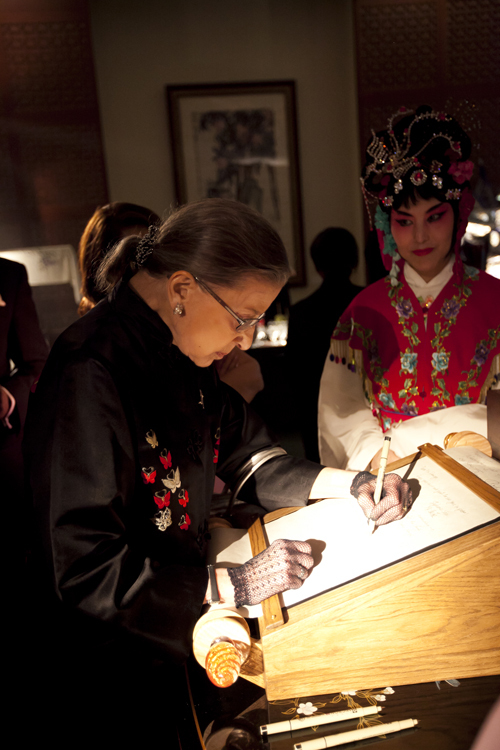 An ardent opera lover and visible supporter of Washington's arts scene, Justice Ginsburg turned out at DC's social event of the year, Saturday night's Opera Ball, and in a nod to the venue, the embassy of China, she donned a silk mandarin inspired jacket with red butterfly accents. Of course, no Ginsburg evening ensemble would be complete without her elegant lace gloves. The event was a benefit for the Washington National Opera and a special tribute to outgoing general director legendary tenor Placido Domingo.